This month has it's share of ups and downs from me being admitted to the hospital up to Jaycee's house transfer later this month. Not to mention the load of paperwork for the release of my students grades and cards. It's been a hell of a ride and I am thankful for the challenges that made me a better person. This month has been especially great with all the haul I'm getting that gives me happiness in every parcel I'm opening. I love everything I got this month and I know I am so blessed with such things! I got my Revlon babies! From August to December, every box will be a special Elite box. It may be a little pricey but I believe it will be worth it! 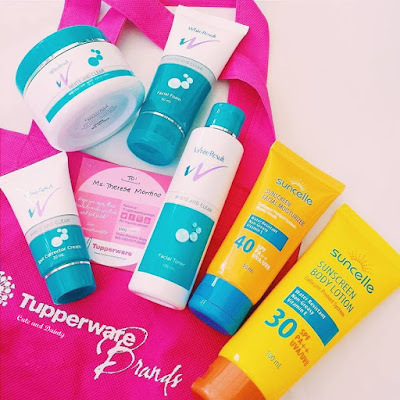 Recently, I was chosen by Brand Speak Asia to review these products which included the White Result line and Suncelle's sunblock for the face and body. I am drafting the post soon and it will be up one of these days. Thanks Miss Alexa for the opportunity! I subscribed as a VIP on Sample Room so I can get products which requires higher points. 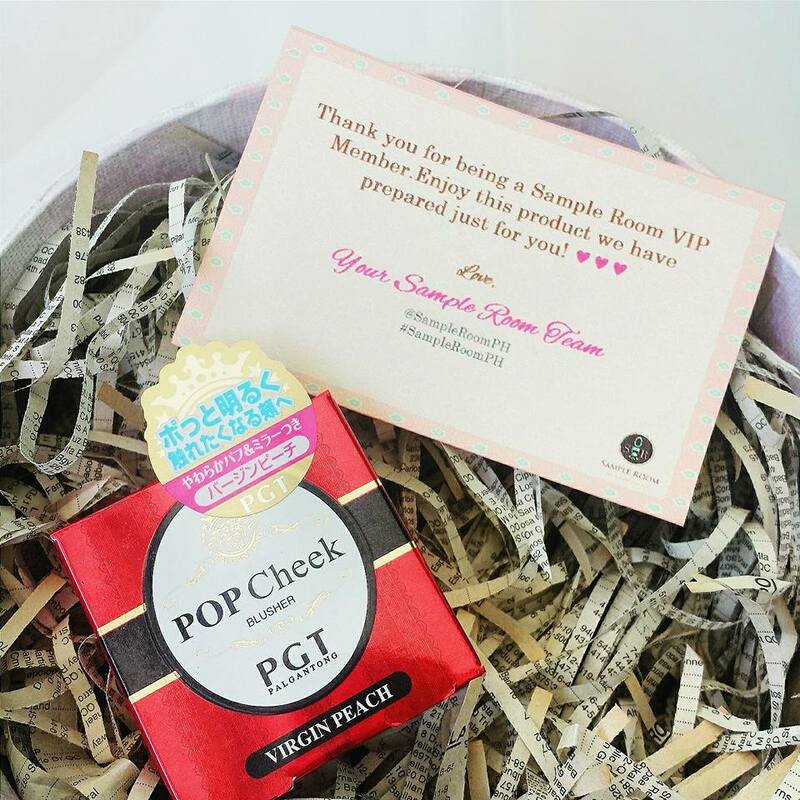 Recently, they're giving gifts to their VIP subscriber and I got this Pop Cheek Blusher from Palgantong. I love the color and I will be reviewing this soon! My first purchase at Sample Room with my VIP points. The Olay combo sample requires 900 points alone so I was lucky to get myself this one. I am currently using The Body Shop as my moisturizer and serum and will be using this soon if the former will all be used up. I am also curious with Maxipeel's newest product, the Skin Purifier. Review soon. This is my last batch of order from Sample Room before I got my VIP points. I think it's just in time that I subscribed to their VIP because I really wanted to try that Olay product. TFS Buy 3 Take 3 in mask are back so I grabbed the chance to get 6 pieces which made it 12. I also want to try this new Nose Strip because I was disappointed with my recent black charcoal nose pack haul which I will be sharing with you soon. You need to avoid that product if you want no hassle in your regimen. 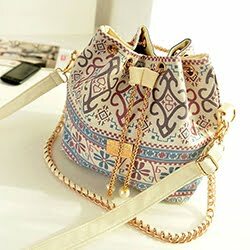 It's on SALE and I just can't stop myself from buying this. 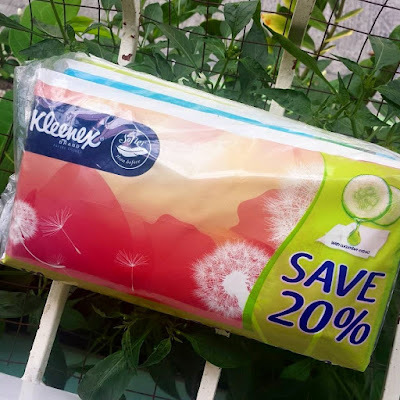 Kleenex is my favorite dry tissue and this 3-in-1 pack was less than P70 so it's a huge saving already. Who can resist? I love all the products I got for this month. I mostly received samples which is nice because I didn't need to shell out huge amount of money to try a product. I only paid for the shipping fee. I suggest you try to subscribe to Sample Room guys and gals so you can also experience it's benefit. Everything put a smile on my face. After feeling unwell for weeks, this is such a booster for me. Good to know that you're well now. Have you been able to try the anti-hair fall shampoo? Any good? I need one of those, but I have yet to find a brand that really works for me. 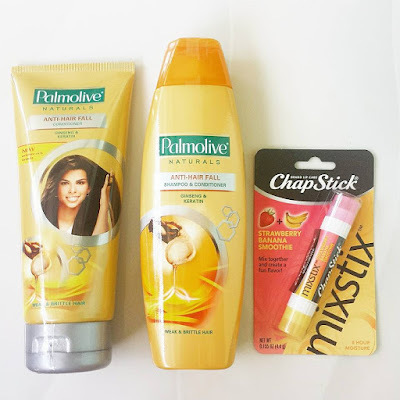 Palmolive has such a nice scent and yup, I felt that even my hair fall problem lessen. Yup sis. Kaw pa. You made planner planning so adorbs! Idol! You had a really good haul for the month. 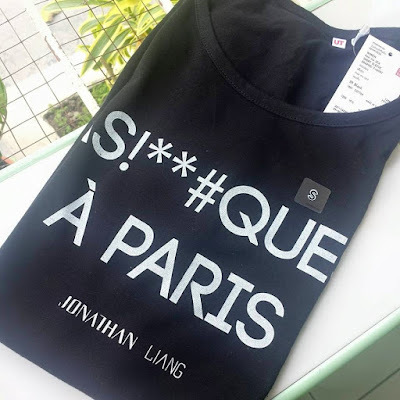 The Uniqlo shirt looks really cool. Yup! It sooo affordable so I grabbed one for myself. I should have gotten more. I gave up on sample room. I can't seem to get to the stuff I like in time. they're always unavailable. True! It was like that before. Let me share a tip sis, make it your default page whenever you pull up your browser. So you'll see what items are available. Great products for the past month! I wanted to get that Elite box from BDJ but because I'm broke, I wasn't able to get one! So jealous right now. 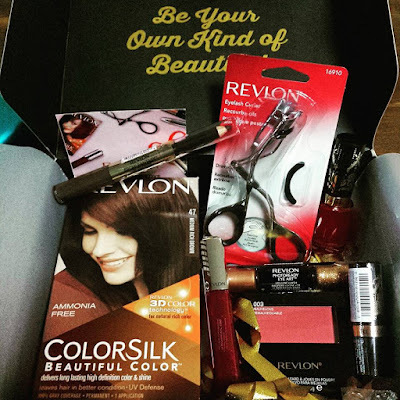 Glamourbox has BYS box for September sis and still available.You can also check that one if you like. :) I too was so tempted that I am broke now. I need to save pa naman for the big day. Haha. Yes I will. 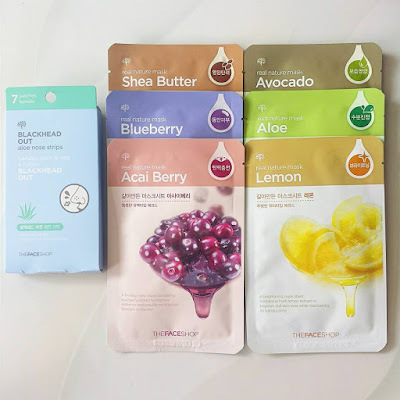 I'm still currently using The Body Shop's sorbet line and I want to fully use it first before moving to Olay. 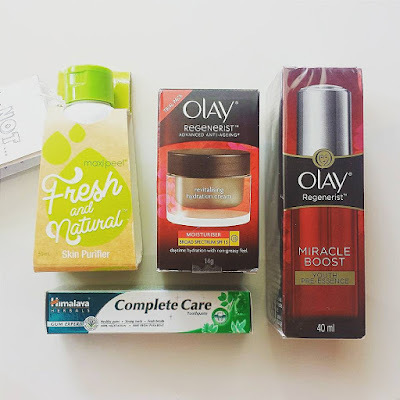 I am using Olay regenerist that truly have beautiful results. I still haven't tried BDJ box but I think I will be ordering this month. So nice! 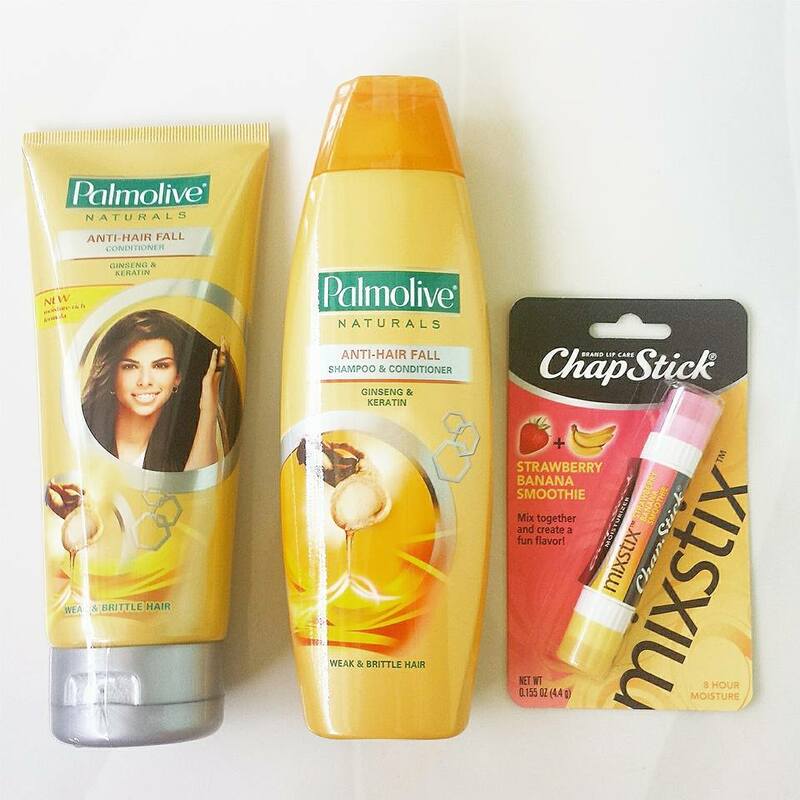 You've got a lot of good products to review :) . 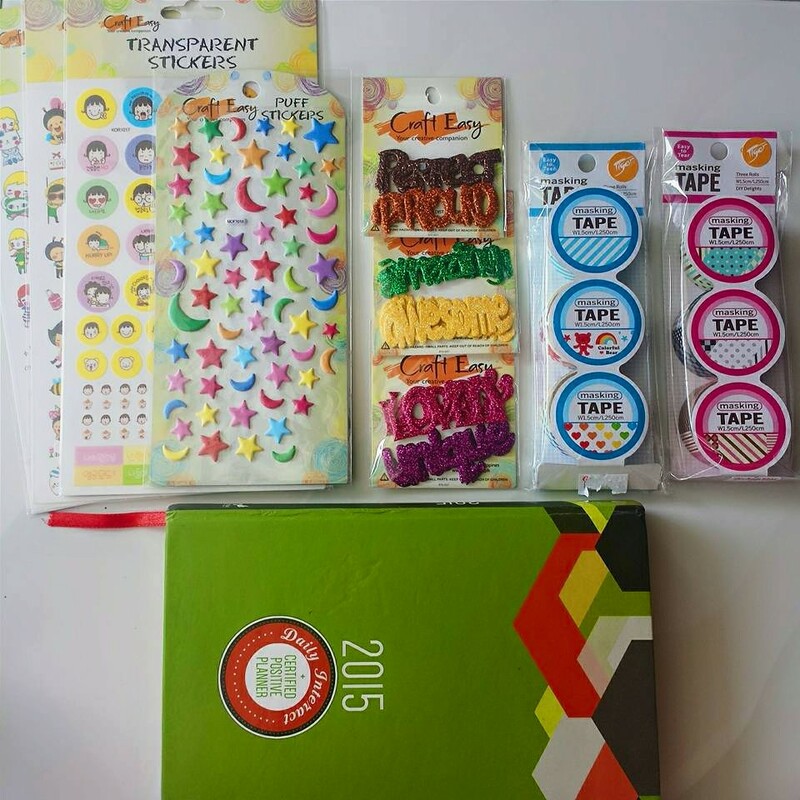 I like the stickers and planner materials. I've used them on my planner already. I sometimes forget to design my planner because I am so busy with so many stuff!